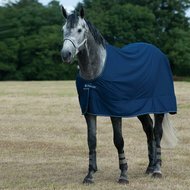 The Power Cooler is a high performance, lightweight multifunctional blanket that is ideal as a sweat blanket, competition blanket, transport blanket or light stable blanket. 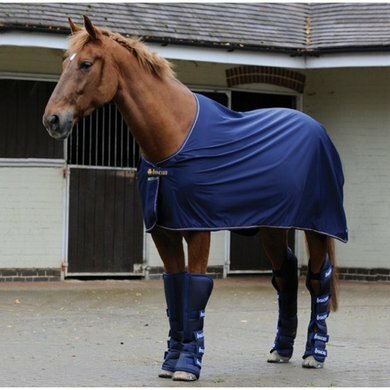 It has a single layer of Stay-Dry fabric, which keeps the horse dry at all times. 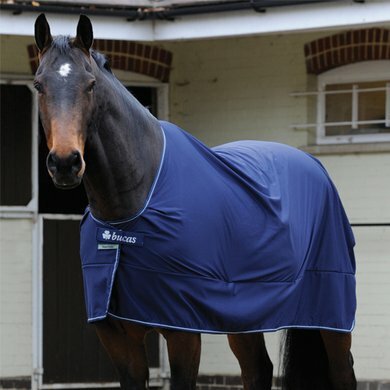 The horse has little friction from the outer material, which reduces the blanket's adhesion. 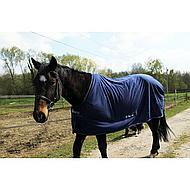 The blanket has shoulder folds that provide an excellent fit and plenty of shoulder room. The overlapping front provides comfort and protects against the closure. 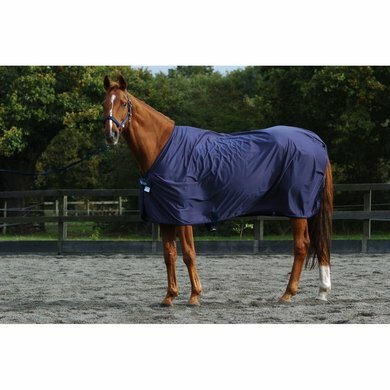 The blanket has a T-closure (hook and eye) at the front, detachable internal elastic surcingles and a leg strap is included. The Power Cooler is available in two versions, classic cut with fixed neck and can be machine washed. Available in Navy and Black. Available models: Power Cooler, Power Cooler Fixed Neck, Power Prize Cooler and Panel Prize Cooler. super nice, strong blanket. Ideal to do after driving. Always did a fleece blanket, but this works much nicer. Remains beautiful and stays well. 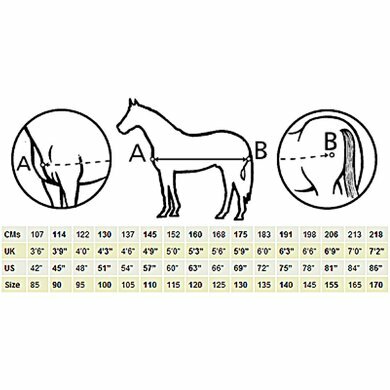 First ordered the blanket with neck, neck did not fit at all. Way too big while the blanket size was fine. Now blanket without neck and is perfect. Material feels good. 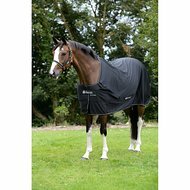 Buying my first Bucas, despite the fact that the fabric is very soft (which I do not like) does the blanket absolutely what it promises! Horse is dry! Much nicer than with woolen blanket where the wet really 'goes' afterwards. Question: Does this blanket have 2 cross surcingles? And are there leg straps? And does the blanket fall large or small or will I keep the same size as the other blankets? Answer: This blanket has 2 webbing on the inside of the blanket. There are no leg straps. For the size you can best keep the special Bucas table, seen in the photos.